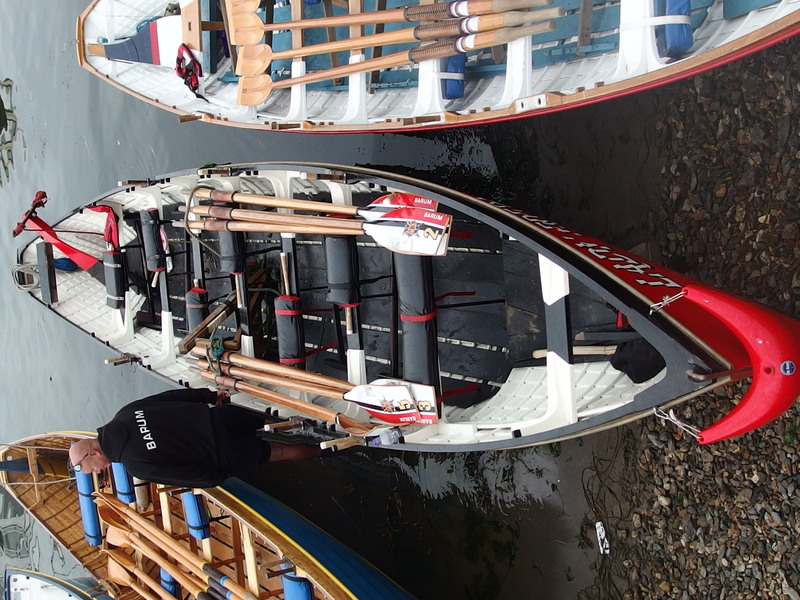 Barnstaple Pilot Gig Club (BPGC) took their boat Lady Freda and 15 rowers on Saturday 25th to the Gig Boat regatta at Lyme Regis. All 12 gig clubs at the regatta enjoyed a sunny late-summer’s day with fairly calm seas and light winds, competing a kite-shaped course in full view of the crowds assembled on the famous Cobb breakwater. There was a full programme of thirteen races for the day, but the Barum club could only compete in six of these races because of limited availability of club members on a Public Holiday weekend. Every club member there competed in at least two races, most in three races, enjoying the friendly rivalry and the sunny weather. This regatta completed perhaps the busiest month yet for BPGC. On Sunday 6th August the club held a Duck Race and Car Boot Sale at Barnstaple and Pilton Cricket Club, raising more than £1050 towards their ‘Off the R’owd’ appeal for a Watersports Centre at Rolle Quay. This was followed by the annual Estuary Race between north coast clubs at Appledore on Wednesday 8th August, then Paignton Gig Boat regatta on Sunday 12th, competing with clubs from as far afield as Essex as well as clubs from Devon and Cornwall. 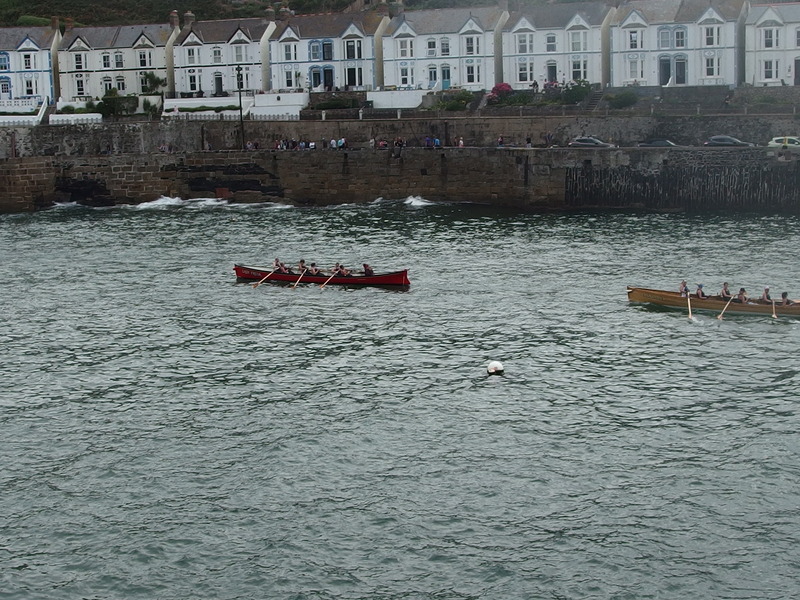 The next Gig Boat regatta attended was Porthleven, on Saturday 18th, where the Barum club competed against 20 other mainly Cornish clubs, winning 14th position overall. Many club members stayed for the whole weekend to enjoy the area and the entertainment provided on Friday and Saturday evenings, and the RNLI Lifeboat festival on the Sunday. As well as attending these four competitions, normal training sessions continued on weekday evenings and weekends throughout the month, also sessions every Monday and Thursday evening at Ilfracombe. The racing boats Lady Freda and Nipper were towed to Ilfracombe harbour for sea-rowing practise and the Barum club is indebted to Ilfracombe Pilot Gig Club for the assistance and advice freely offered on those occasions. The club is now looking forward to the County Championships at Newquay, 2nd September for the Ladies crews, and 15th September for the men.